Today I’m continuing my holiday gift guide series featuring ideas and inspiration for travel gifts for women. For the past few weeks I have been showcasing my holiday gift ideas around a specific theme. Mostly because I have so many things on my wish list ideas, I figured it would help to organize them into categories. 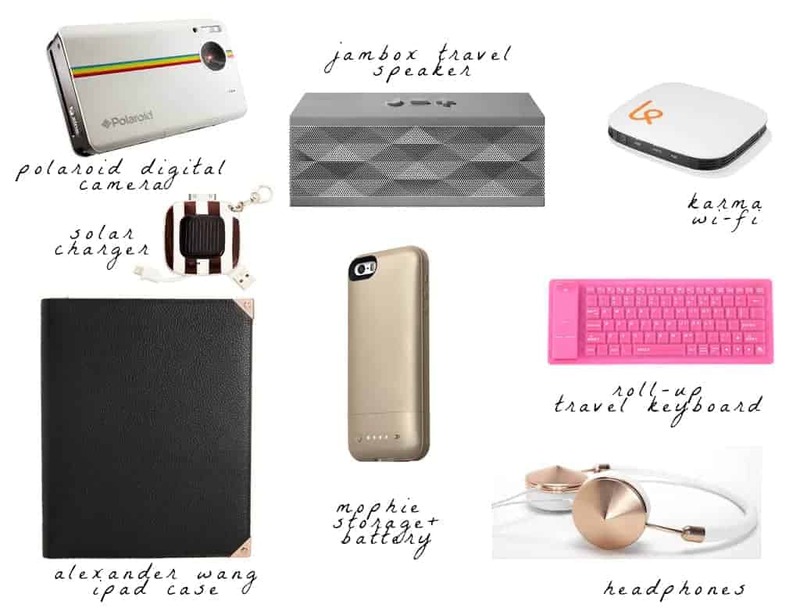 Week one featured travel gift ideas for women’s travel accessories, and week two featured my picks for beauty-related travel gifts. This week’s theme is travel tech gadgets and accessories. For context: I am completely clueless when it comes to electronics and so naturally I didn’t intend to write an entire post about gifts in this area. Let’s just say that I’m usually shopping in other aisles. 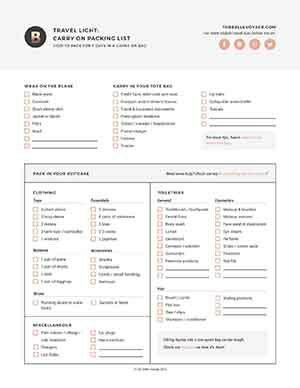 BUT….when I started looking around for holiday gift ideas, I was surprised to see how many eye-catching items fell into this category. Gone are the days of bulky, black, plastic gadgets that will gather dust in the back of your closet….because now there are so many tech accessories out there that make your life a little easier but are also beautifully designed. Call it tech eye candy if you will. Or gadgets with curb appeal. Or whatever. Anyway, here’s a little taste! Enjoy shopping these picks for all of the jet settin’ ladies, fly girls, and globe-trotters out there. Polaroid instant digital camera kit: OK now this is just fun. An actual, physical photo that you can hold in your hand? What?! With all the vintage charm of polaroids from years ago. Everything old really is new again. But unlike the bulky polaroids of the 80’s, this slick little number will actually fit in your purse. Jambox speaker: These bluetooth-enabled speakers are AMAZING in terms of sound quality. Super light and sturdy, they will have you rockin out in your hotel room. Karma wi-fi: Karma is BRAND SPANKIN’ new! Wireless, everywhere. No contract. Sign me up. You can pre-order now and they will start shipping in December. Roll-up Travel keyboard: As much as I love my ipad, sometimes I want an actual keyboard to do things like blogging. This one rolls up so it’s easy to throw in your bag and since it’s silicone, there will be no tears shed if you spill on it. It connects to your device wirelessly, meaning there is one less cord that you need to pack and then forget in your hotel room. Frends headphones: Gaaaaah these have been on my wish list FOREVER. As you can probably tell from this blog’s logo, I have a thing for rose gold. And the 15-year-old in me thinks that I might look cool if I wore them. Mophie storage and battery case: My iPhone battery life has been killing me lately, and I keep getting messages that my storage is full (too many pictures of my dog, obviously). These amazing cases made by Mophie not only extend your phone’s battery life but also add extra storage for all of those photos you simply CANNOT delete. Alexander Wang ipad case: Why thank you, Mr. Wang, for making such a lovely, classy ipad case that doesn’t look like a cheesy ipad case. I’ll take one. Cheers.